Root canals are perhaps one of the most dreaded and least understood dental procedures performed today. Although many people are fearful of just the name of the procedure, a root canal can be a highly effective and painless process when performed by the right dentist. A root canal involves removing inflamed or infected pulp from a tooth. The pulp is soft tissue found inside of a tooth beneath the outer enamel and the thicker dentin. After the diseased pulp is removed, the inside of the tooth is cleaned and filled with a material that is similar to rubber. The process is usually completed by placing a crown on top of the tooth to protect it. Ignoring a root canal can be dangerous, and not just for your teeth. Untreated, the infection from a tooth can spread to the jaw and lead to severe health complications. 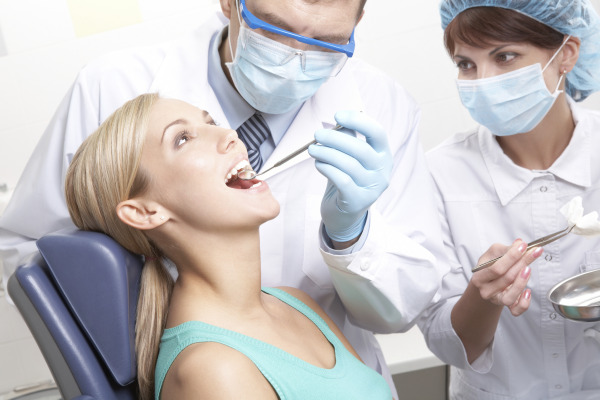 Without proper treatment, the infected tooth will usually need extracted. Many people are fearful of root canals, having heard myths that they are very long, painful procedures. At Reddy Dental Group, we can usually perform root canals in Hawthorne in one to two appointments, and we have many options to help keep you comfortable during the procedure, including sedation dentistry. How Should I Choose a Dentist for My Root Canal? When you're comparing dentists who perform root canals in Hawthorne, look for one who has an established reputation and access to the latest dental technologies. Dr. Reddy has been performing root canals for 20 years, and our practice is equipped with digital x-ray equipment. This technology produces high-definition images of the mouth, allowing us to develop more detailed, and less invasive treatment plans while also exposing our patients to lower levels of radiation than those associated with traditional x-rays. Root canal treatments can vary in price based upon the severity of the infection, the condition of the tooth and other factors, but we strive to keep costs to a minimum. Reddy Dental Group always puts patient care before money. If you are in need of a root canal, we will find a payment solution to suit your budget and help you get the dental care that you need to protect your tooth and your health. The only way to know for sure if you need a root canal is by undergoing a dental exam. Symptoms that could indicate that a root canal is required include pain upon biting, cold sensitivity and inflammation of the gums around one tooth, or an abscess, which is usually manifested as a painful swollen lump on your gums near the infected tooth. If you have any of these symptoms or a chronic toothache, contact Reddy Dental Group to schedule an examination. The sooner you act, the greater the chances of being able to save your tooth with a less invasive root canal procedure.